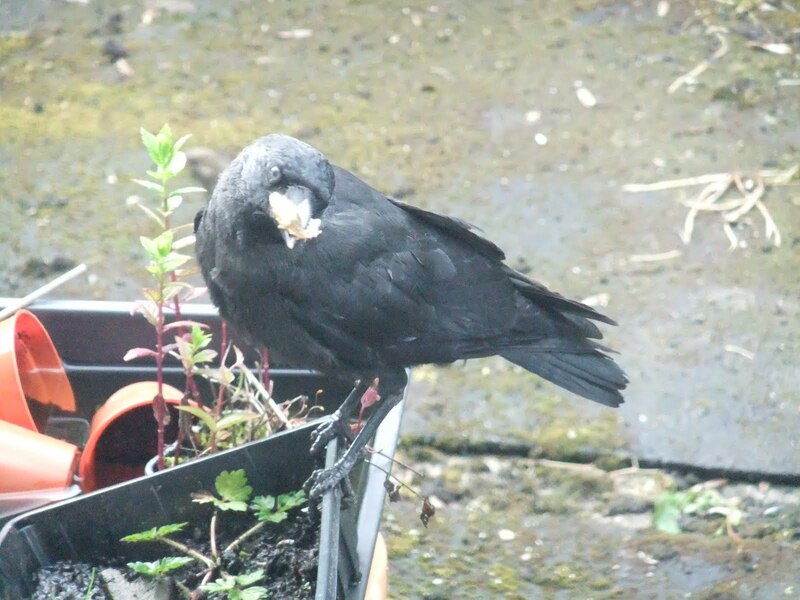 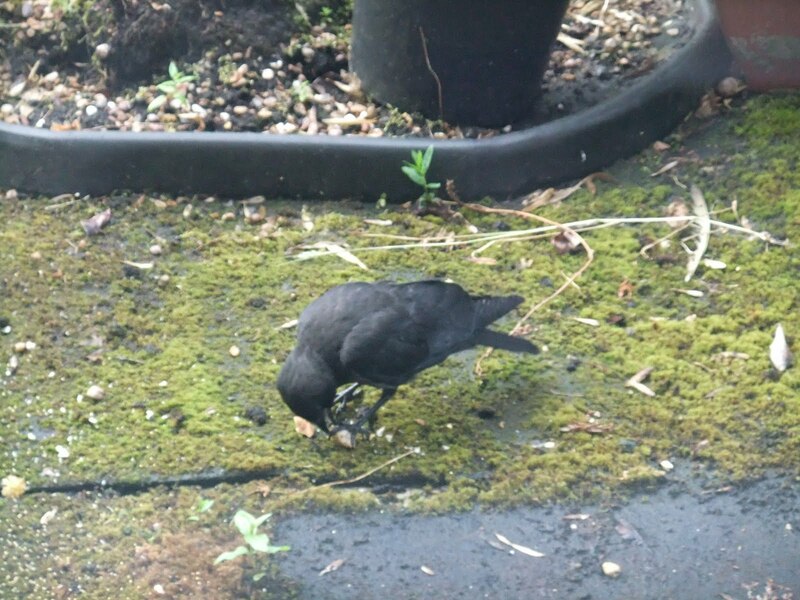 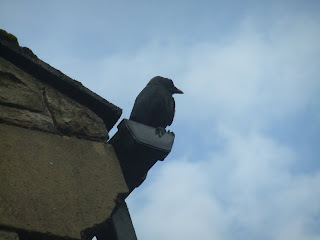 At 6.45 Jack was back for his breakfast. After work some of his friends came to join him for supper. 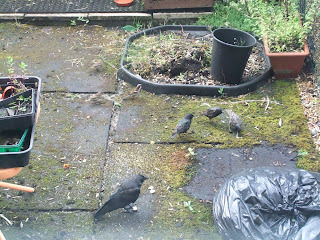 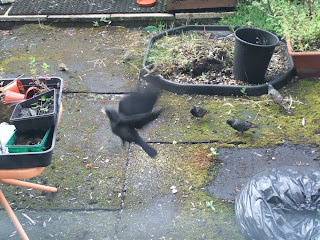 Three cheeky starlings and a herd of sparrows, who wanted millet not bread. 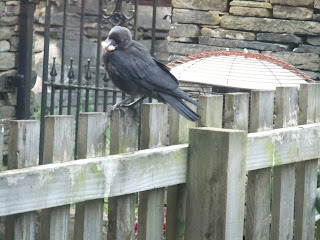 ...... up onto the fence and off somewhere else!